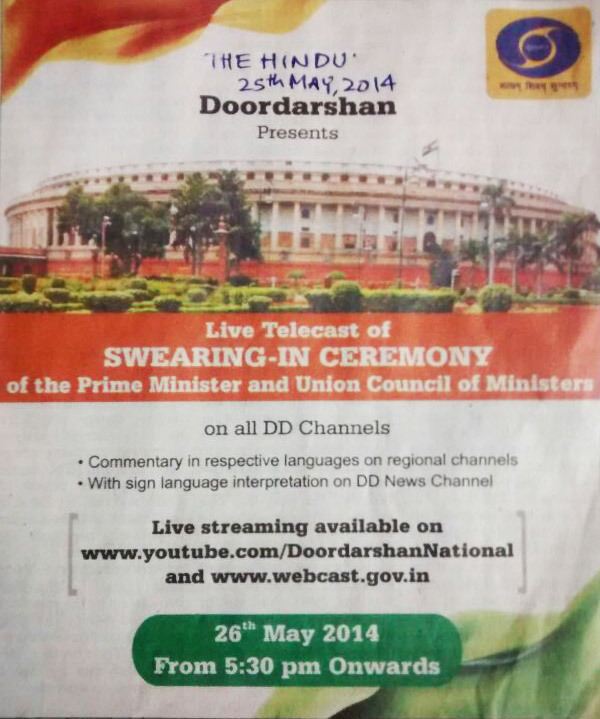 Interpreter on DD Channel for Oath-Swearing of Narendra Modi. See the short video below and put your opinion of the interpreter on the right box. Before taking evaluation, please ensure that you communicate in ISL and have seen the video on the left. If you do not know ISL, please do not take the evaluation. The results of evaluation will be displayed afterwards. It will be sent to National Association of the Deaf (NAD) and Indian Sign Language Interpreters Association (ISLIA) with a request for the improvement of our interpreters in future.